Uber has started a fund-raising campaign, again. The mobile car-hailing app is currently in early talks for raising a new round of financing, which could give the startup a valuation of about $50 billion, according to a person familiar with the matter. 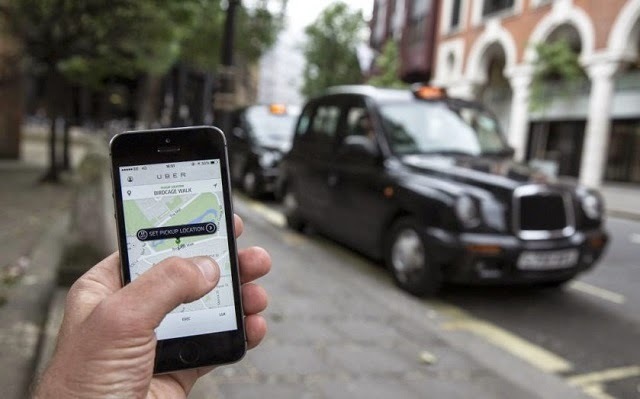 The person said that judging by the interest that has been showed by the investors of the company, it is possible that Uber could manage to raise about $1.5 billion this time around. Unlike the previous financing campaigns, the new capital wouldn’t be used primarily for the purpose of expansion. Instead, the individual said, funding is rather strategic as it would be used for partnerships. There was no comment made by Uber. Based in San Francisco, the startup had relentlessly raised money in recent years at rapidly increasing valuations. Up till now, the company has succeeding in raising more than $4 billion as it moves into new global markets by disrupting various transport industries such as that of established taxis by allowing their customers to request rides through their smartphones. Founded in 2009, the company is currently led by their chief executive, Travis Kalanick. In December, the company had closed a round of financing of $1.2 billion, which had a valuation of about $40 billion. Then, the company moved for accommodating additional investors such as the Chinese internet giant Baidu. That round had been after one made in June when the service announced that about $1.2 billion had been raised at a valuation of $17 billion. If the company is indeed valued at $50 billion, it would become the most valuable private startup of the world and even defeat the Chinese electronic maker named Xiaomi, which had been valued at $45 billion last. It would also become more valuable than some publicly traded companies such as Nissan Motor, which has a market value of $47 billion and FedEx with a capitalization of $48 billion. It would also mean that the division between Uber and other billion-dollar startups called ‘Unicorns’ would also increase. Even at its current valuation of $40 billion, Uber was already triple as that of the other startups of Silicon Valley such as the data analysis firm called Palantir. Amongst the startups of Silicon Valley, it was only Facebook that had previously managed to achieve a $50 billion valuation. The new fund-raising discussions of Uber come as a number of startups of Silicon Valley are on a fund-raising tear. This week alone, Affirm, the lending startup stated that it had managed to raise about $275 million in debt and equity at an unknown valuation while software startup Zenefits said that it had managed to raise about $500 million, which had been valued at about $4 billion. The fund-raising has also occurred against a rather compressed time period as the software startup had given its war chest a boost in less than a year of its last financing round. Moreover, the action isn’t only restricted to the United States. Drone maker DJI, based in Shenzhen China, said it had also raised $75 million.